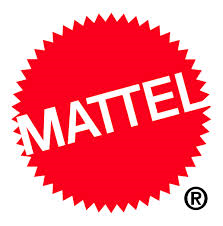 Mattel Internship Programs are offered to high school seniors, undergraduate college students and students currently attending graduate school. Internships give students real world work experience where they can use their classroom knowledge and skills and plan career choices. The internships last 12 weeks and are generally offered in the summer. High school seniors must be currently attending a participating school and have good attendance as well as a grade point average of 2.0 or above. Undergraduates college students will find internships available in design, engineering, information technology, legal, corporate communications, human resources and more. They must be currently attending a U.S. accredited college or university. Students pursuing their MBA degree must be enrolled full-time in a graduate program at an accredited college or university. Internships are offered for first-year MBA students studying marketing or finance. Mattel's vision is "Creating the Future of Play." The El Segundo, California-based company is a global producer of children's toys. Some of their recognizable brands include Barbie®, Hot Wheels®, Fisher-Price®, and American Girl®.